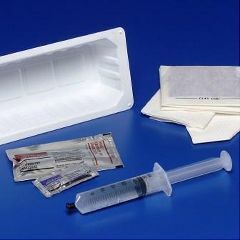 The Dover Universal Catheterization Tray contains all the components for aseptic prepping. User must provide own catheter (not included). Kenguard is now branded under Dover. Same great products under a new name! Bought these as a spare. They are as good as what the nurse brings. WHEN PUTING IN A CATHETER. Is the tray 1000 or 1200 cc?